Australian cPanel and Cloud Web Hosting Servers. To remain competitive, you need a site that loads quickly and is reliably available 24 hours a day. A competent cPanel hosting solution lets your customers know that you’re available around the clock to meet their needs, and that reliability and quality are as important to you as they are to your visitors. You can count on us to provide fast and reliable Australian managed cPanel hosting. Your business will stand out from the crowd. We deliver the best-in-class Web hosting services our clients need to stay on top of their business. Buy online cPanel hosting solutions at competitive prices. Our servers come complete with a host of extras listed below including DIY Website Builder. 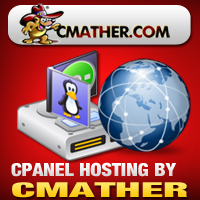 Buy Yearly cPanel Hosting Plans. What’s Included in Every cPanel Hosting Package? Email Services: Email Forwarding, Auto Responders, Mailing Lists, POP3, SMTP, Webmail, Spam Assassin, Anti-Spam and Anti-Virus. Control Panel Features: Fantastico DeLuxe, Online File Manager, IP Deny Manager / Hotlink Protection, Password protected directories, Backups / AW Stats / Webalizer / Raw HTTP Error Logs. Supported Hosting Features: My SQL Databases, FTP, PHP5 / PhpMyAdmin, Perl / SSI / CGI, Python. Domain Management: Unlimited alias domains and full DNS zone management. E-commerce Features: SSL Support, Zen cart / osCommerce / Word press / Cube Cart / Open Cart. Easy one click install apps. cPanel is the #1 used control panel in the world. Try the cPanel Hosting Demo. 50+ scripts that can be installed with one click of the mouse and no programming knowledge required. Traffic reports, page visits, keywords, and more included with every cPanel hosting plan. Plus Backup your website easily. Create stunning websites. DIY Web Design Builder included with every cloud hosting account. Difference Between Free Web Hosting and Paid Web Hosting? Free hosting might be great for your buddy’s fantasy football league or your niece’s online diary, but any business hoping to be competitive in today’s vast Internet market needs the professional, high-profile and fully supported hosting that you simply can’t get for free. Investing in paid hosting means you can expect to have plenty of space and bandwidth, a unique URL and domain, a user-friendly control panel and sufficient technical support. Investing in paid hosting will provide you with the powerful, professional website your business needs. Free hosting is great for pictures of your cat. Once you know the level of service you’re looking for, comparing web hosts will be a breeze. You’ll be up and running in no time with our top-notch customer support and nearly seamless transition process.